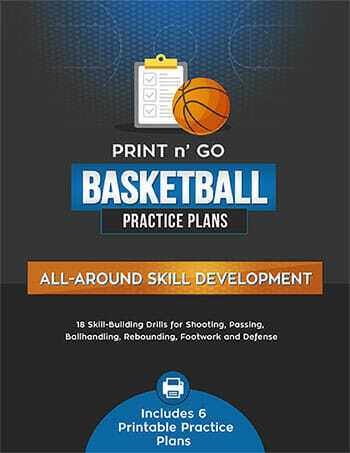 This is one of many [tag]ball handling drills for basketball[/tag] that have been sent to me recently. Try this out with your team tonight! Let me know how it works for you. This [tag]basketball drill[/tag] incorporates a combination of skills and the girls really enjoy it. Split the team into two groups, balancing the guards and forwards. The line-up parallel to the baseline facing the basket, just inside the three-pt line. 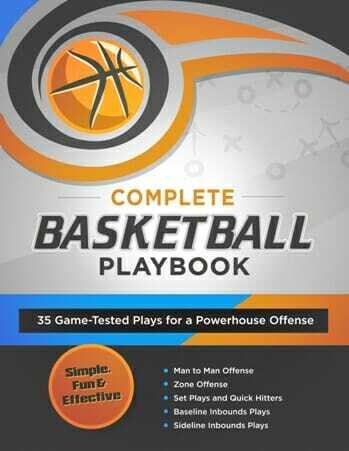 On the whistle the first player takes a baseline shot, gets their own rebound, dribbles down to the opposite basket(keeping the head up and controlled), opposite side of where they started and takes a lay-up. They get their rebound and then shoot a free-throw from that basket. They follow their shot and then dribble down to the basket they started from and take a jump-shot inside the 3-pt line/key opposite the side of the line they started from. 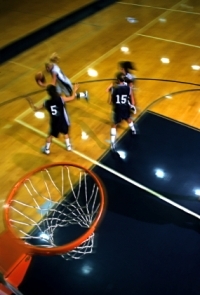 Once the [tag]basketball[/tag] hits the rim, the next person in line can start the rotation. The player on the other team is repeating the same [tag]basketball drills[/tag] at the same time, so there is competition. We usually keep score, 1 pt each basket, and put random amounts of time on the clock. Modification is that if they miss the lay-up their team mates dribble one length of the gym, while the player finishes their shots. 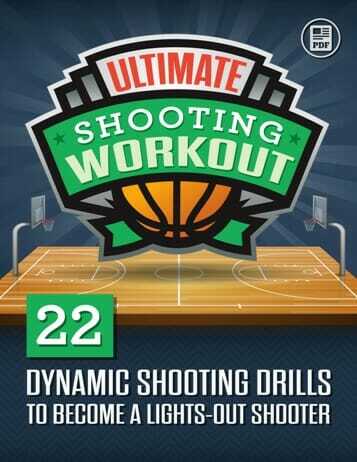 If the player misses their free-throw shot, then all players, including themselves will do another length of the gym, before continuing through the drill.